Welcome to the Interview Series of The Tennis Podcast (www.thetennispodcast.com). I'm your host Kevin McClure, Director of Tennis at Sport Fit Bowie. 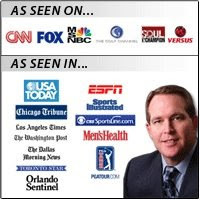 Today, I'll be interviewing Bob Litwin, the "focus coach" and originator of the Sports Focus Institute (www.focustips.com). After starting competitive tennis late in life he became the #1 ranked 55 & over player in the world ITF ranking. He'll give some tips to those of us that struggle to raise our level. Kevin McClure was interviewed about Cardio Tennis by JC Hayward at WUSA Channel 9 in Washington, D.C. Welcome to our discussion with Dr. Patrick Cohn, a Sports Psychologist and Master Mental Coach from Peak Performance Sports. You can check out his website at www.PeakSports.com. I'm your host, Kevin McClure, Director of Tennis at Sport Fit in Bowie, Maryland. 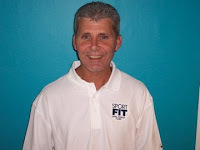 My name is Kevin McClure, Director of Tennis at Sport Fit in Bowie, Maryland. This interview is with Michele Krause, National Program Manager for the USTA Cardio Tennis Program. Now that the program has been around for a few years, I thought we'd revisit the concept. Our program sponsor is Tennis 2 U at www.Tennis2U.com, a tennis and fitness proshop. Today we introduce you to the developers of a must have program called the "Grips Program". Aaron Fox and Craig Cignarelli introduce themselves and the innovative testing program. This program is sponsored by Tennis 2 U, the online tennis and fitness proshop at www.tennis2u.com. Welcome to The Tennis Podcast Interview Series. I’m your host, Kevin McClure, Director of Tennis at Sport Fit in Bowie, Maryland. 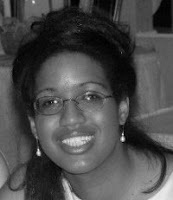 Today’s guest is Aaress Lawless, the developer and editor of the “On the Baseline” blog at www.onthebaseline.com. She started the site in 2005 and it has grown to be one of the top tennis blogs available. Before we start, let me remind you that this show is sponsored by Tennis 2 U, the online tennis and fitness proshop at www.tennis2u.com and this week I want everyone to enter that simple address into their browser and check it out. Tennis 2 U dot com. Aaress discusses her tennis connection, the "On the Baseline" blog and an upcoming opportunity for readers to submit tennis questions that the pros will answer. I'll be one of those answering questions, so check out her blog and submit a question! Interviews with a couple kids from my advanced program. They're 8+ years old and it's just a quick treat. We've already introduced them to the idea of the media. This is an audio snippet from Wimbledon Radio. Since Colette Lewis (of Inside Junior Tennis on The Tennis Podcast and www.zootennis.com) was being interviewed about "new media", I included it here. Peter Bodo (Tennis Magazine) was also being interviewed. Go check out the great products and prices and support The Tennis Podcast at the same time! Colette and I talked with Casey about the ongoing and upcoming NCAA tennis championships. What is your background and how did you get involved with Intercollegiate tennis? What is the atmosphere like at the championships at Athens? Are the Georgia men one of the best teams of all time? Are the Stanford women more vulnerable than in the past 3 years? Are Georgia women a threat? If an American wins the NCAA, will he get a wild card into the US Open? Why are there more top college women from the US than men? What else is going on in the Division II/III/NAIA/NJCAA championships? Tell us about the Summer Circuit. Today's interview on The Tennis Podcast is with Ken Thomas, CEO of Tennis Telecom and the voice of Radio Tennis at www.radiotennis.com. Radio Tennis is where you can listen to live streaming audio commentary and play-by-play of tennis matches. This show is sponsored by Tennis 2 U, the online tennis and fitness store at www.Tennis2U.com. Discussion with Tom Sweitzer, USPTA Master Pro and President of Central Penn Tennis Services, about running special events and bringing in celebrities. Tomaz Mencinger is a teaching professional and author of The Mental Manual and the Tennis Strategy Encyclopedia e-books. Originally from Slovenia, I talked to him at his current location, an academy in Bangkok, Thailand. Todd Scott of www.TennisFitnessTips.com interviewed me recently about Footwork Patterns. He allowed me to post the interview on The Tennis Podcast also. I'll be giving away the audio file for 12 Footwork Tips compiled from my shows for the 12 Days of Tennis Gifts Promotion. To participate in that, hurry to www.12DaysofTennisGifts.com and enter to get TONS of goodies from me and other tennis gurus that have joined together for this promotion. The Tennis Podcast has instruction, interviews, Inside Tennis with Kevin & "Koz" and Inside Junior Tennis. Welcome to The Tennis Pod cast Interview Series. Today I’ll be speaking with the David Benjamin, Executive Director for the InterCollegiate Tennis Association. We will be discussing this organization and in particular, the College Tennis Advocacy Network. Welcome to The Tennis Podcast Interview Series. Today we are speaking with Greg Moran, Director of Tennis at the Four Seasons Racquet Club in Connecticut and the author of a new book called Tennis Beyond Big Shots. Warren is a USPTA Master Professional and a Regional Rep for DartFish Software, a premier video analysis package that many tennis pros and camps, not to mention Olympic sports teams, use to improve their strokes and tactics. Today we are speaking with Gary Adelman, a teaching pro from Western Massachusetts. He is a student of the Alexander Technique and applies it to his tennis instruction. This technique helps one to "release" tension, improve balance and explosiveness. Brief interview with Lee Coulliard of the iPod Pro Video Podcast site. Tennis videos delivered to you with tennis tips and fun clips. We met at the Tennis Teachers Conference during the US Open in New York. Check out his site on iTunes by searching for "tennis" under Podcasts!! Colette started by covering the Kalamazzo Junior Tennis tournament and now covers junior tennis as a specialty. Her website includes posts on the tournaments, players, parents and coaches. She will be helping The Tennis Podcast to bring you more junior coverage. opportunity to discuss training for peak performance with Pat. Julie discusses the newly announced series of money tournaments in Virginia. There are 7 in the series of sanctioned 10k tournaments. 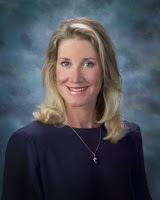 Today I'm talking with one of the top rated tennis blogers on the internet, Lisa Isenberg. Thousands of tennis fans visit her site www.protennisfan.com every week. She talks about blogging and how she got into it and also other tennis sites to check out. You can go to www.oncourtassessment.com for more info. touring pro originally from South Africa. tennis at the Nasdaq tournament in Key Biscayne, Florida. entrepreneur and his daughter Sydney, who has helped along the way. process of product creation, marketing and distribution. During this interview Sandy outlines the history leading up to his development of a new DVD targeted toward kids and parents about preparing for the junior competitive circuit. Listen to him describe his experiences and the results of that experience. National Tennis Center in Flushing, NY, location of the US OPEN. He is also known from his answers to your questions in the "Ask Bill"
column on the USTA.com website and in the USTA Newsletters. at the National Tennis Center. Today I’ll be speaking with a former number one player in the world. She has the honor of being the youngest player to ever win a professional tournament and the youngest to win the US Open, undercutting the former record holder Maureen Connelly be a couple months. She has 25 National Junior titles to her name and 29 professional titles as well. She’s well known for her mental fortitude, non-other than Tracy Austin. Tracy is headed to the Washington D.C., Maryland, Virginia area this weekend as the headliner for Cardio Tennis Clinics at East Potomac Tennis Center, Quince Orchard Swim & Tennis Club, and the Regency Sport & Health Club. Needless to say, his background is too extensive to mention it all, however, he is currently the Head National Coach for Tennis Canada’s Junior Development Program, worked with the Canadian Davis Cup Team as a Coach or Captain for 12 years, has travelled and coached several top 100 ATP players, has produced 78 television magazines, worked as a television commentator and has spoken at International Tennis Federation events since 1987. Dr. Jack Groppel is an internationally recognized authority and pioneer in the science of human performance, and an expert in fitness and nutrition. He talks about his background, the change of company name from LGE Performance to Human Performance Institute and the changing landscape in the modern game of tennis. and activites through the association's Career Development Program. Today, I’m fortunate to be able to interview one of the great female players in the tennis world. She was ranked as high as four in the world and held a top twenty ranking for all 15 years of her career on the tour. She was a Wimbledon finalist and an Olympic gold medal winner and has a resume to be envied. After retiring, she continued to play another 4 years on the Women’s Legends tour with the other great female players. She continues her involvement with the Zina Garrison Foundation in Houston and has had too many other career highlights to mention. A hearty welcome to Zina Garrison. Dr. Cliff Kurtzman is a Houston-based entrepreneur that has been involved in the development of numerous ground-breaking ventures over the past fifteen years. Most tennis players would recognize him as the Editor and Chief of TennisServer.com, one of the most frequently visited tennis sites on the internet. Cliff’s expertise spans a broad spectrum as a recognized innovator in the areas of technology, marketing, and entrepreneurship. His experience has ranged from working as an astronautical engineer (yes, he really is a rocket scientist) to being one of the first to leverage the power of the Internet to build profitable branded communities with global impact. Today’s interview is with Dr. Ray Brown, designer of the Easi Tennis system. He is an esteemed academic researcher in the analysis of nonlinear systems, neuroscience and brain dynamics. However, he’s also a long time player, student and teacher of the game of tennis. Dr. Brown has also been a guest editor for Mid-Atlantic Match Point for over six years where he has published over 30 articles on Tennis Coaching and Player Development. He’s also a regular contributor to TennisONE.com, an excellent instructional site. One of his patents on chaos application has led to the development of a type tennis trainer. His wife’s trauma while fighting a neural viral infection led to the use of tennis as a therapy and new concepts in tennis development. This week's interview is with world-renowned fitness trainer, Pat Etcheberry. Perhaps most noted for his training successes in the sport of tennis, the list of Champions with an Etcheberry Experience reads like an International Who's Who of Tennis. Between 1985 and 2005, Pat's players have won more than 100 major championships, including 28 Australian Opens, 18 Wimbledon Tournaments, 22 US Opens, 22 French Opens, and 15 Olympic Medals. This weeks interview is with Ilana Kloss, CEO and Commissioner of World Team Tennis (www.WTT.com). Ilana originally started her relationship with WTT back in 1974 when she played for the San Francisco Golden Gaters. By 1985 she had taken on the role of player liason and within 2 years she was the WTT vice president. Eventually, she took over for billy jean king as the executive director and was named the CEO and Commisioner in 2001. Ilana also serves on a number of tennis industry and charity boards. discusses WTT and the differences with tour events and the format. Interview material provided by WTT. This week's interview is with Jeff Williams. Jeff's title is the Group Publisher of Tennis Magazine (it's his phone that rings when you call for a publisher!). He has worked for over 20 years in the industry and for 6 years at Tennis Magazine. He discusses the changes in the game of tennis, the demographics of the readership, and how themagazine layout has been changing. 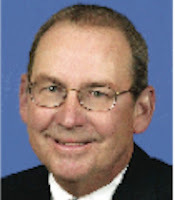 This week's interview is with Jim Baugh, president of the Tennis Industry Association. He discusses the tennis industry and increases in player participation and product sales. is definently the major behind the scenes promoter of the game. Today, I’d like to introduce Michele Krause, a tennis pro from Punta Gorda, on the west coast of Florida. In the wake of hurricane Wilma, she has conveniently just started a one month tour to promote Cardio Tennis and has evacuated to Chicago. She's the engine behind Cardio Tennis and the manager of the biggest public tennis promotion that I can remember since the first Play Tennis America campaigns. Michele Krause, national manager of "Cardio Tennis", discusses her background and her tour across the country to promote this exciting new tennis program.